Based on online verification, when students apply for online verification report of qualification and student record, they have one-year default valid period (can be extended) for the report, during which users could freely use the service. The report has multiple versions, in print, PDF, and email, and it is available in English, which makes it easy for overseas users. Additionally, the barcode in verification report can be pasted into resumes. 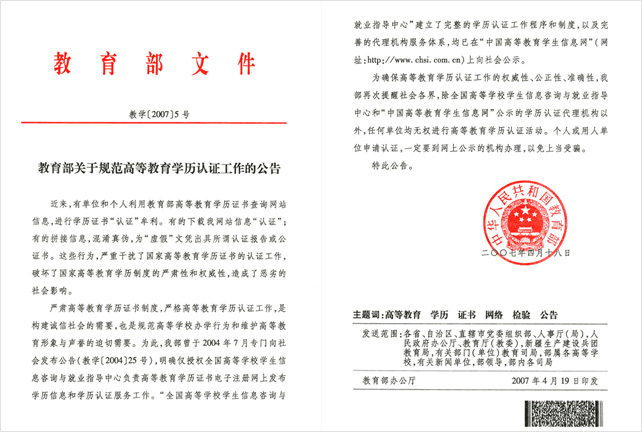 Verification report contains anti-counterfeiting. People could verify their qualification certificates which are awarded at any time (including certificates before 1991) and may not be in the database. 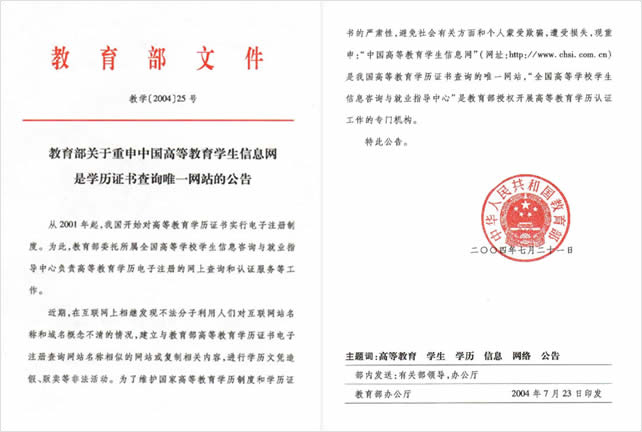 In addition to qualification certificates, higher education student records, and student’s academic transcripts, high school qualifications, and Gaokao scores, and verification reports in both Chinese and English could all be given in verification, and 35 agencies are using the same platform,process and report. The only designated website for qualification enquiry ( Jiaoxue  No.25). Designated information publishing platform for college entrance examination and an online consultation week for consecutive 9 years. Designated website for online registration of national graduate school entrance examination and supplementary application platform.